chip for an easy and trouble free DG control. It is cost effective solution for AMF controlling system. 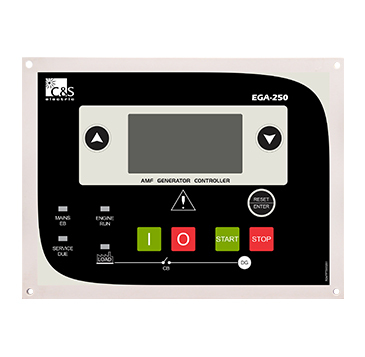 If mains voltage in any phase fails (either voltage or frequency goes out of the selected range) EGA-250 initiates an automatic DG start cycle including load transfer by switching the contactors mounted in the panel. After the mains is restored the load will be automatically removed from DG and transferred to mains. DG will stop after a set cool down time. During all cycles, generator is fully monitored and protected against any fault. All the alarm occurring at abnormal DG conditions are detected and displayed on LCD display and if necessary DG is stopped and hooter gets activated. Automatic Mode:This mode is selectable from parameter settings. User can toggle between Auto Mode and Manual/Remote Mode from DI also.ln this mode of operation, if the mains either fail or exceed operating limits GEN-SET is started, mains CB is opened and generator CB is closed automatically. Mains three phase voltage is monitored continuously. Manual Mode: Selectable from parameter settings. However user can select this mode temporarily from Auto mode thru DI. In this mode EGA-250 will be operated manually and it will ignore Mains voltage. 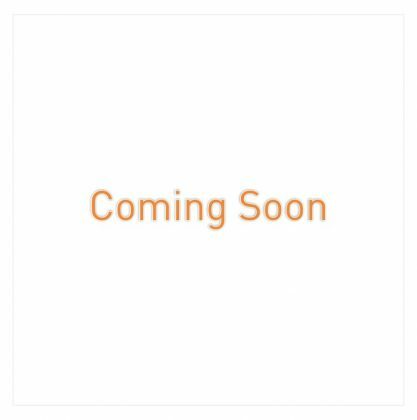 It will only respond to START and STOP keys for Generator start and stop operation. These keys will be functional only when manual mode is active. Generator and Mains CBs will be operated externally without the control of EGA»250. Start key should be pressed until the engine reaches the threshold speed.